Pep Guardiola is not motivated by the prospect of beating his own individual record for consecutive league victories. Guardiola's Manchester City travel to Newcastle on Wednesday looking to win their 18th Premier League game in a row. 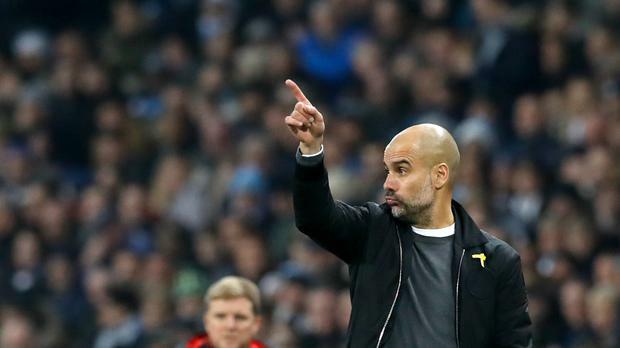 The 17 they have won in succession to date is already a record for all English League football and also eclipses the 16 Guardiola achieved while in charge of Barcelona. The next target for him might be to better the 19 he recorded as Bayern Munich manager, but he claims he does not want personal glory. The City boss said: "Since August we have won a lot of games, and that is why we are happy. Our lives are better when we win. It is simple like that. "I am not going to sleep thinking about if I am going to break a record of my Bayern Munich time. Nothing special. "Focus on Newcastle. That is the best thing." City continued their winning run with a convincing 4-0 win over Bournemouth at the Etihad Stadium on Saturday. It later emerged that Kevin De Bruyne, who was substituted after 74 minutes, had been suffering from illness in the days before the game. Guardiola said: "He was sick. In the last two or three days, he was vomiting. He had fever and he lost two or three kilos, so the doctor told me. "We decided, 'Start but when you are tired we are going to change you'. That is what happened but he helped us playing 60-65 minutes." The Bournemouth victory also saw the return of captain Vincent Kompany after a three-game absence with a muscular injury. "Every time he comes back we are happy, and praying he is going to stay (fit)," Guardiola added. City's superb performances are undoubtedly delighting club bosses but Press Association Sport understands owner Sheikh Mansour currently has no plans to attend any games of what could be a remarkable season in person. The sheikh, regarded as a private man, may not even attend the Champions League final in Kiev should City get there.